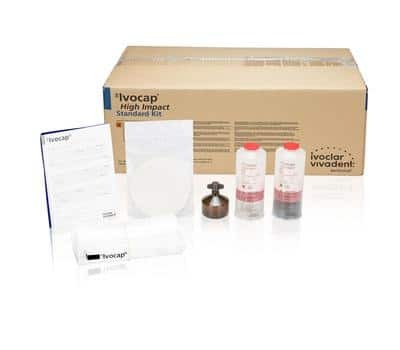 Ivocap System - Lab Depot ltd. 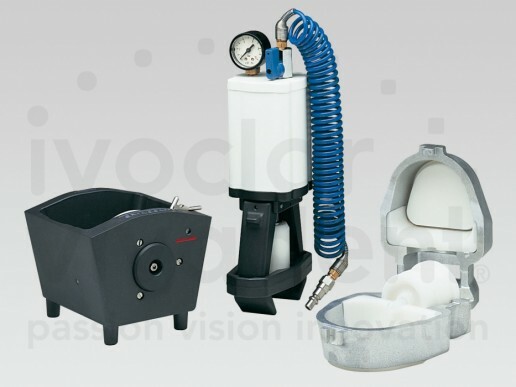 The success of the SR Ivocap Injection System is based on its well thought-out technique. With conventional denture fabrication techniques, the chemical shrinkage of the polymethyl methacrylate during polymerization results in inaccuracies of fit. The SR Ivocap Injection System features controlled heat/pressure polymerization, during which the exact amount of material keeps flowing into the flask to compensate acrylic shrinkage. The SR Ivocap injection procedure permits the fabrication of high-quality dentures that fit outstandingly and are comfortable to wear. The methyl methacrylate is pressure injected into the flask after mixing. The pressure (6 bar) remains unchanged during the entire polymerization process. In this way, denture base material is continuously pressed into the flask. Controlled polymerization with continuous compensation of the material shrinkage during the entire process. The special injection procedure reduces the risk of system-induced increases in vertical dimension. Heat/pressure polymerization provides good physical properties and a high degree of homogeneity. 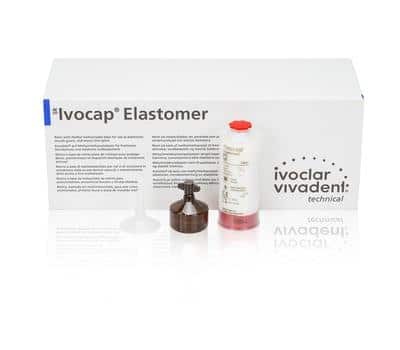 The homogeneous SR Ivocap High Impact denture base reduces the risk of possible fracture. No mixing or dosing errors due to predosed, encapsulated material. SR Ivocap High Impact shows a marked improvement in quality over the predecessor material, due to a 25% increase in the impact strength. The material complies with EN ISO 20795-1.